We have gone through the Tools of writing and the Blueprints, now it’s time for the Nuts and Bolts. 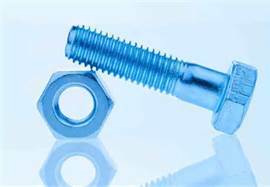 Nuts and bolts you may ask? Well, quite frankly yes, nuts and bolts. You didn’t think people just sat down at a computer and wrote perfect polished pieces, did you? No, No, No. Like with everything else in life there is a method to this madness. Use the tools- talent, drive, creativity etc. 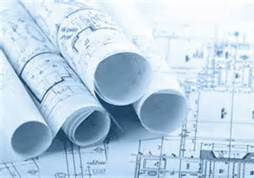 Make a blueprint- concept, characterization, planning etc. What is the process of taking a raw idea and putting it on paper then polishing it until it shines? Rough Draft- writing the entire story, start to finish, paying no attention to anything but telling the story. Edit- take the Rough Draft and check for spelling and grammar errors, fix those. Edit again- read through the story out loud to see how it sounds. Revise- Make the changes you found in the last edit, filling plot holes, refining pacing, adding or subtracting descriptions, missed scenes etc. Edit again- read this new version again out loud to see how it reads. Revise- make necessary changes that reading aloud showed you. take these steps over and over until you don’t find anything else to correct or change. Then do the next step. Edit- make one final read through going from the last line to the first, just to make sure you didn’t miss something. Read it aloud from start to finish one last time. Check formatting for any submissions criteria for publication you may decide to submit to. Or follow Agent guidelines for submission. Woo, that’s a lot isn’t it? Yeah, so now you can see the entire process for writing. Well, I have given you the tools, the plan and the nuts and bolts. I challenge any and all of you to write one story, of any length. I want you to feel the joy and hard work it takes, I know there are some wonderful writers out there who just never thought of writing. What kind of story are you going to write? I can’t wait to read them. Generally speaking there are two kinds of writers. It can depend of the story they are writing as to the degree and which method they prefer. Pantzers- write by the seat of their pants, no plans, just let the muse and the story take them. Planners- make a plan for where the story is going and how it gets there. I’m a planner, when I first started writing I pantzed everything, and while it works great and is very creative, I kept getting lost and forgetting important information, even whole characters. So finally I started making plans, it works wonders for me and my writing has improved bunches and bunches. Now there are some steps that I use for planning out a story. Some aren’t exclusive to planners, pantzers use them too. I mean you have to have an idea of who your writing about, right? Now #1 everybody uses, everything after that varies and in no particular order, we have. Story development: consisting of brain storming; who, what, when, where, how, and why. Crying, asking over and over What happened? Days Later, after the storm is gone and most of the snow has melted the owner comes to the property to inspect for storm damage. Now when you write a story, things change and when I wrote this one, that is definitely the case. So watch out for locking yourself into the outline. Writing is a fluid and constantly changing process, stories are organic and have minds of their own. So my advice is to try both or a combination of both, see what works for you and remember nothing is written in stone and can be changed. Have fun writing and creating my friends. Which are you a pantzer or a planner? 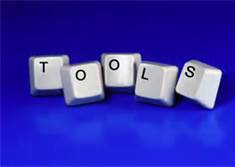 What are the tools of the writing trade. Lets see, not everyone would consider the same one in the same order of usefulness. So I will just tell you mine. 1. A creative mind- it all comes from creativity, you have to have the idea to go any farther no matter what other tools are available to you. With these two things anyone can write. Now, there is a catch; just writing, while technically defining some as a writer, is very different from someone with a passion and a talent for writing. This kind of writer pours their soul out to entertain, themselves or others. To get paid for their offerings. Or to both entertain and get paid. So along those lines we have more tools. 3. Talent- the ability to write what will interest readers. 4. The drive to entertain and/or get paid- without drive you have nothing but stories tumbling around in your noggin. Now we come to the biggest tool of them all. 5. A community- this is both a community of support (like my writer’s group) and a community of readers (the people for whom you write). No matter how talented, creative or driven you are, without a community of support it is much harder to get a polished professional work out to the public. You always need someone. Last but never least, a community of readers, we write to be read. No more needs to be said. So what tools are in your workshop, be it for writing, drawing, sewing, or building all are an art-form off there own? The Ever elusive muse, chased and hunted by Writers and Artist the world over. Once found, jealously guarded and enslaved to feed the creative flow. I have not yet found a muse, and to tell the absolute truth, I’m not looking for one, or not an external one. I know people who have someone outside themselves that serve as their muse. I have noticed their creativity is hobbled when they have no access, for whatever reason, to that muse. That just won’t work for me. I do not do well at the whim of others. So, while I am not as productive as those under the muse influence, I am doing just fine. What is the most progress destroying problem I have, or the kiss of death for me. That time wasting virus that seeps through the keys into your fingers, From your fingers the nasty buggers enter your heart and mind killing any momentum you may have. It’s insidious I tell you, the most debilitating condition known to this writer. Is there a cure, no one know. Treatment consists of time management and discipline. Goals, to-do lists and multitasking help, but damn it all, I need a keeper. Accountability and fear of punishment work, the thing is, I am not afraid of myself, I know what to do and say to get over on myself. Oh well, I’m a bad self parent, I think I’m gonna ground myself from the TV for a week until I get some work done. What is your worst bad habit and how do you deal with it? It seems I shot myself in the foot. I set myself a task to write descriptive flash fiction pieces from the perspective of a humming bird. Yeah, boy did I underestimate the task. I am getting no where on this bullet train. I’m not giving up but I am revising my assignment, instead of one sense at a time, I will do a progression, as if each sense is coming online one at a time. I like that much better. Until it is completed I will return to my usual chatter for blog posts. So, in line with that plan tomorrow will start back with daily to almost daily posts during the work week. I keep getting in my own way. I hate when I am not productive. Just hate it. So I have some things to deal with. Then I am getting out of my own way. Stick with me friends. I am working on my Flash Stories exploring the senses. I should have something for you soon.